1. Prepare jars by submerging in water and boiling for 10 minutes. 2. Combine vinegar and sugar in a pan. Simmer until sugar has dissolved then boil gently for 5 minutes. 3. Add garlic, chilli flakes and salt into the pan. Bring to a boil and boil mixture for 1 minute. 4. Place lids into boiled water to warm through. 5. 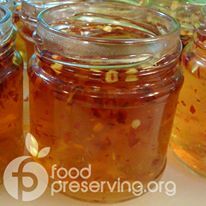 Fill hot jars with hot sauce to 1/2 inch (1cm) headspace. Remove bubbles, check headspace is correct, wipe rims with damp paper towel and seal with the warmed lids. 6. Submerge sealed jars in water and boil for 15 minutes (start timer once water returns to a full boil). When time is up, turn heat off and rest jars in water for 5 minutes before placing onto a towel-covered bench overnight to cool. 7. Next day: check jars have sealed before labelling and storing in a cool, dry and dark place for up to 12 months. Jar lids should not flex up or down when pressed. Add 1/4 cup chopped fresh coriander (cilantro) leaves into the sauce. 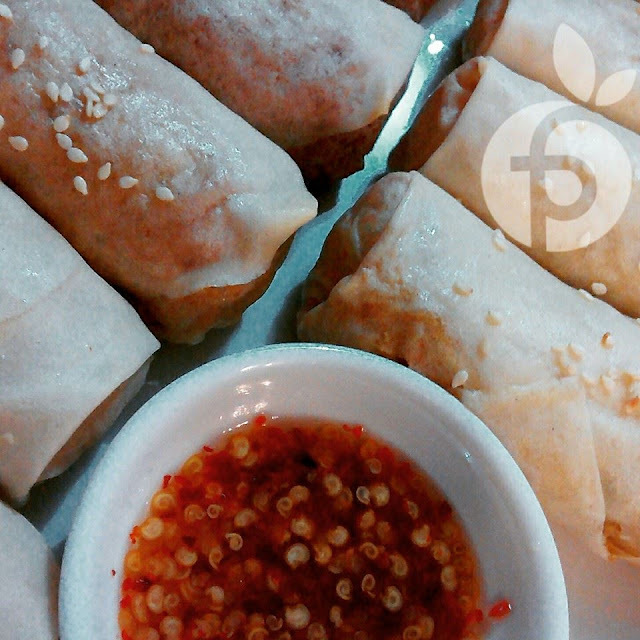 Serve with homemade spring rolls.